Customer service is the new standard by which consumers judge a business. 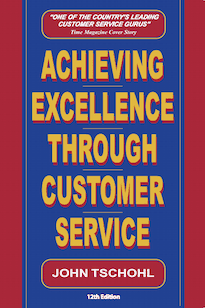 Achieving Excellence Through Customer Service reveals how to make exceptional customer service not merely a slogan but a central focus of management strategy. It provides a complete action plan — including tested techniques and solutions from America’s top service-driven films like Federal Express and Marriot — to quickly implement this new key to sustained profits. Includes all the new ways to establish caring, dependable, and speedy service that brings customers back.